We teamed up with Shamrock Foods Company to increase awareness and hype for the Rockin’ Refuel product launch. They wanted to create brand awareness among a specific target market of athletic female influencers in certain geographical markets and retailers. By engaging with specific influencers in our network of Social Spotters who fall into this target market, we were able to amp up awareness through social media photo sharing. 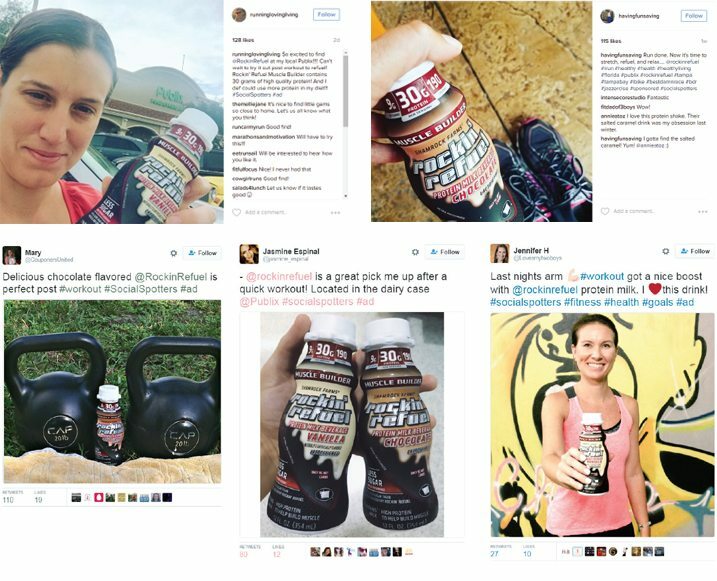 Social Spotters raved about the products, shared how they incorporated the drink into their workout routines, and mentioned their favorite retailers in order to drive friends and followers to try out the product.